ANSWER: Trust me, we’ve all been in situations where we’ve felt we deserved better — or more. And sometimes we’re right. If you’ve shown your boss you’re worth more, and he doesn’t see it, that could be life showing you an exit. If you like your job and the industry you’re in, however, asking for a raise is often more about posture than technique. The best way to ask for a raise is to first research your industry, and more specifically, your job title. Go in with an attitude of humility and gratitude — combined with the research you’ve done, and your accomplishments with the company — and ask what you need to do in order to make more money. Don’t issue an ultimatum, or ask for an answer immediately. Have a friendly, professional conversation, and politely ask your boss to give your request consideration. I’m not talking about some kind of pat-yourself-on-the-back exercise. I want you to sit down, and make a list of some serious stuff. Write out your talents, your weaknesses, what excites you, and the things that exhaust you. The answers to these four questions will help provide an early picture of what you should — and should not — be doing with your life. You might also consider running your answers by a close friend, someone who cares enough to want the very best for you, but is willing to be completely honest about your attributes. 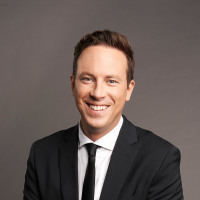 Ken Coleman is host of The Ken Coleman Show and the top-rated EntreLeadership Podcast, and author of One Question: Life-Changing Answers from Today’s Leading Voices. An acclaimed interviewer and broadcaster, Coleman equips, encourages and entertains listeners through thought-provoking interviews, helping them grow their businesses, pursue their passions, and move toward a fulfilled purpose. You can follow him on Twitter at @KenColeman, on Instagram at @ KenColemanShow, and online at kencolemanshow.com or facebook.com/ KenColemanShow.